A Home UPS that packs a powerful punch Traditionally, you've used a UPS to run your computer, printer, modem, router and other IT equipments, and a separate inverter for your lights, fans and other home appliances. Now, you only need one mighty machine Su-Kam's Torque Digital Home UPS systems. Powerful and sensitive at the same time, Torque will run all your IT equipment and your electrical appliances single handedly, smoothly, without a break. Small size. High efficiency: The Torque Digital Home UPS is small enough to fit into the space demands of today's modern households. A neat, compact design that hides a powerful heart. Instant switchover: The switch-over between mains power and battery is so fast, you won't even feel it. And the voltage is always kept within the safe range, to protect your precious IT equipment and sophisticated appliances. Faster charging: Equipped with charging technology which enables the batteries to get charged 40% faster than other systems. So, even if the mains power fails repeatedly, the battery back-up will snap into action every time. 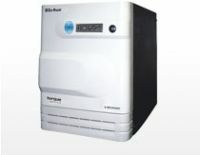 Surge protection: Torque Digital Home UPS can comfortably handle high in-flow of current, upto 300% of its actual capacity. And your appliances are fully protected. Complete protection: Its superior HCLC (High Cut/Low Cut) technology ensures that the system automatically snaps into battery mode in case there is a high or a low voltage. No more worries of frequent breakdowns. High Cold Start Capability: Su-Kam's Torque Digital Home UPS has the highest Cold Load Capability which means if 12 tube lights are connected to Torque (650VA) and it is switched on, all the tube lights will be on at the same time. Automatic Overload Sensing: In case of overload, Su-Kam's System Overload Alarm resets the Home UPS automatically. Wheeled Trolleys: You can choose a modular trolley, which meets the aesthetic requirement of your home. To Recieve updates and possible rewards for Sukam Torque 1500VA/24V please sign in. To Recieve updates and possible rewards for UPS & Inverter please sign in.